Also top speed’d a Swedish brick. One of those two ended in heartbreak. It was the track day. I’m really bummed out. I was given the keys to a manual 2017 Miata, and had an instructor for almost two hours. Seems like a recipe for success, no? Things did not go as planned. There was light rain, so despite my helmeted head not fitting in the slightest, the instructor refused to take the top down. I look over and what do I see? Every other driver with the program proceeding to lower the top. Huh. Guess I got the sour apple of the group. Cones were set up to teach proper lines, braking zones, etc. As I approached the second cone around a curve, my instructor asked if I’d driven this layout before. I said “no”, unaware how much I’d come to regret that choice. Immediately after I told him I was unfamiliar with the course his exact words were “slow down speed racer, this is RWD and can get a bit tail-happy. I don’t want you to pass the people in front”. Yeah... I didn’t have to worry about passing anyone. For the next 10 laps it was a constant back-and-forth between attempting to have some fun, and getting told to “slow down. Brake. Braking zone coming. Too fast. Turn the wheel.” I wasn’t trying to set a record or drive beyond my skill level, but good god... My neighbor would have smoked us in her MDX. I never thought there would come a day when driving a Miata on track would be a negative experience, but this instructor proved me wrong. Ended up getting lapped by every other person there. I should add that despite the instructor’s misgivings, at no point was the ND anywhere close to the limit of traction. Tires weren’t spinning. Rear wasn’t sliding. RPM wasn’t climbing much (“shift now! You have to shift now!”). We were so far below what the ND is capable of, and even below what your average driver with zero on-track experience would be capable of on their first outing. I just don’t get it. I could see people like this turning enthusiasts off of the sport. After that waste of money I needed to let off some steam, so I went on a closed course with a few others for some unsanctioned high speed runs with our personal cars. I’m not going to beat around the bush because my jaw already dropped to the floor, so here it is. Stock, a turbo, manual 850 wagon is capable of hitting a top speed anywhere from 146-164 mph, depending on what publication/forum post/GPS data you believe. 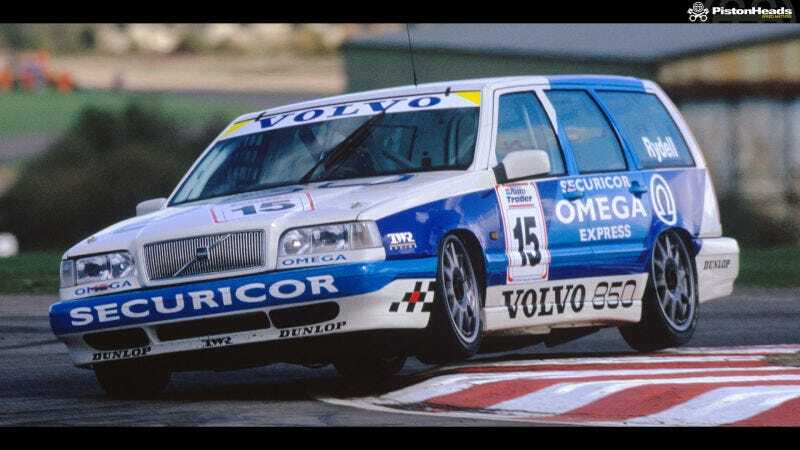 Volvo lists the 850r at 158mph. At 162mph, my heart felt like I’d just ran 10 miles. There was still a bit more left to eek out on top but my self-preservation instinct wouldn’t allow it. 162mph in a 25 year old station wagon shaped like a brick, with 300 whp at the absolute most. And if that’s not crazy enough, a stock 850r is apparently right around that number too. My mind is blown. Never thought a beat up Volvo wagon would take my previous high speed crown from the first gen CTS-V sedan. And nothing broke! I’d say this made up for the awful track experience. My buddy did quite a few runs in his Stingray, which was also terrifying. LSX Datsun 510 was also quite impressive. So how’s your night? Should I find a way to upload the track footage so you all can see me driving 20mph at Pacific Speedway while getting scolded by an old man for not applying enough brakes?